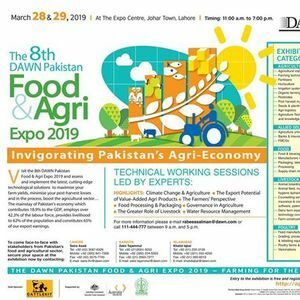 The DAWN Media Group is organizing the expo keeping in view the importance of food and agriculture sector which contributes extensively to Pakistan’s economy and generate productive employment opportunities for the country’s labor force. 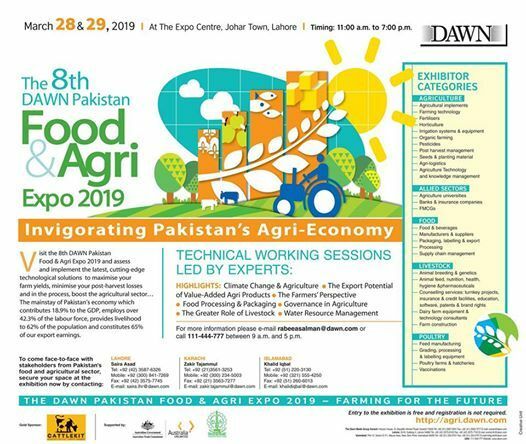 The exhibition has proved to be a platform that provides an opportunity to access the potential of Pakistan’s food and agriculture market. The exhibition will provide a platform to all business and government sectors, directly or indirectly involved with food and agriculture industry of Pakistan.